Duration: 35 sec. per ep. 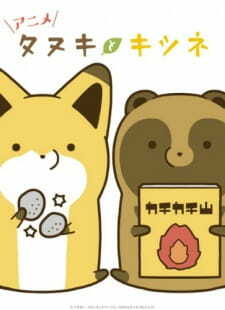 The manga's story centers on the daily lives of a raccoon dog who is not quite with it and a mischievous fox who likes to tease the raccoon dog. The two are close friends who live together on a mountain. Their other friends include a wolf, a bear, a rabbit, and birds.